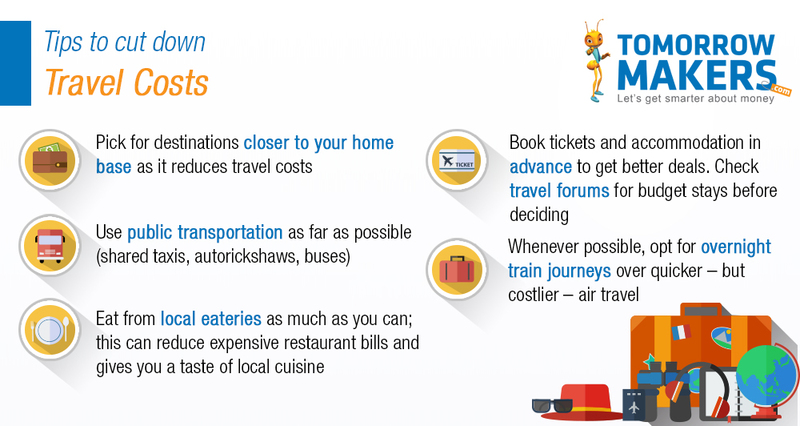 Choosing a travel destination to travel in India boils down to your preference and budget. Fortunately, there’s a destination for everyone. Every region in India – East, West, North or South – seems to have all that a country can offer. From beaches to mountain ranges, deserts and forests to historical and archaeological sites, religious spots, game reserves, trekking and adventure sports, and rich cuisines, the attractions in India change as you move from one state to the next. As for budgets, India has something for everyone. So, on this National Tourism day, here are a number of different places around India that are suited for every pocket. The hill town of Dharamsala, in Kangra Valley (Himachal Pradesh), is as picturesque as a postcard and perfect for adventure lovers. Being the seat of Dalai Lama’s government-in-exile, you can get a glimpse of Tibetan culture here, including their monasteries. Nearby places to visit include the Bhagsunath temple and Bhagsunath Falls, which lie between Dharamshala and McLeodganj – another tourist destination about 9 km away. If you look around, you can find rooms for about Rs. 200 a day. You can even plan a vacation here during a cricket match. The HPCA Stadium, set against the majestic Dhauladhar mountain range, offers a spectacular view. There are several other holiday destinations in Himachal Pradesh- Manikaran with its hot springs is a pilgrim spot for both, Hindus and Sikhs and Kasol, a backpacker’s paradise is 5 km away. Other vacation destinations in North India include Ladakh, Chandigarh, Amritsar, Kulu-Manali, Shimla, Dehradun, Nainital, Mussoorie, Agra, Jhansi and the Rajasthan destinations of Jaipur, Jodhpur, Jaisalmer and Mt Abu. A UNESCO World Heritage Site, Hampi is an ancient village by the Tungabhadra River in northern Karnataka, about 350 km from Bangalore. It stands amidst the ruins of Vijayanagara Empire, dating back to 1st century AD. The capital (also called Vijayanagara) was one of the world’s wealthiest cities in the 15th and 16th centuries. Hampi has several heritage sites - Virupaksha Temple, Vittala Temple and Hampi Bazaar, and other attractions such as the Lotus Mahal, Hazara Rama temple and Lakshmi Narasimha temple. You can find budget, mid-range hotels, and cottages with modern amenities. Other destinations in South India include Alleppy (Kerala), Hogenakkal Falls on the Cauvery River (Tamil Nadu), Mysore, Ooty, Coorg, Wayanad (Kerala) with its lush hills and pre-historic caves, Chennai, Kodaikanal, Coimbatore and Pondicherry. The smallest Union Territory in the Indian mainland, Daman and Diu are two distinct regions physically separated by the Gulf of Khambat. The regions, which were under Portuguese rule till 1961, show signs of Portuguese influence in their forts, churches and cultural landmarks. Hire a cycle or scooter to explore these places, sample the exotic seafood, or try your hand at adventure sports such as parasailing, snorkelling, water-skiing and windsurfing on the beaches of Daman, 15 km from Vapi in Gujarat. You can always round off a vacation in Daman and Diu with a trip to Gir National park in Gujarat, 65 km from Diu, and then soak in a different experience at the temple town of Somnath, 42 km from Gir. Western India also has several other cities such as Mumbai, Pune, Nashik, Aurangabad, Goa and Kolhapur, which draw tourists from all over the country and world. Eastern India is rarely high on the domestic tourist’s pecking order, save for perhaps a desire to see Varanasi. But there are many other vacation spots in the region that appeal to travellers. Try a four-day Bhubaneswar-Puri-Konark-Chilka trip, where you can visit the temples of Lingaraja, Rajarani, Brahmeswara and Siddheswar, the Khandagiri and Udaygiri caves, Dhauli Buddhist Stupa, Chandrabhaga and Puri beaches. Kolkata, Murshidabad (known for the last resistance to Lord Clive), Darjeeling, Gangtok, Ranchi, Rajgir, Varanasi, Gaya and Nalanda are other places in East India that make for ideal holiday spots. As an outsider, you need the Inner Line Permit to visit Arunachal Pradesh. It is relatively simple to get. You need to submit passport size photographs, ID proof (driving license, voter's card, Aadhar card or any approved documents) along with your application. See India’s largest monastery in Tawang, situated at a height of 10,000 feet, with a breath-taking view of the valley. Plan a trekking or camping trip around Gorichen Peak, check out the Nuranang Falls and visit the Tawang War Memorial. If you want to pack in some adventure sports, try rafting on the Siang, Subansari, and Lohit rivers. The best time for this is early-November to March-end. On your way back, try to visit the Majuli Island on the mighty Brahmaputra. Famous for navigation through the fields on a canoe, the island is a cultural hub of the region, with numerous tribes calling it their home. Some other places that you can visit in North India are Agartala in Tripura (with its palaces and caves), Guwahati, Shillong, and the colourful states of Mizoram, Nagaland and Manipur. Chhattisgarh, which was carved out from Madhya Pradesh in November 2000, is another under-rated tourist destination, despite being blessed with wildlife, forest, mountains and mesmerising waterfalls and has an abundance of ancient monuments and temples. Chhattisgarh’s rich cultural heritage gives travellers a peep into the history of central India. Mallhar, Ratanpur, Sirpur and Sarguja are a must-visit for their archaeological importance, while the Kotumsar Caves, Gadiya Mountain and the Kailash Caves are among the many caves famous either for pre-historic paintings or religious significance. Central India has many other places to visit including Indore, Khajuraho, Mandu in Madhya Pradesh, and Durg in Chhattisgarh state that boasts of the Chitrakoot waterfalls. With so many options to choose from, you better start making reservations. And if you’re worried about how to afford a great trip, here are some ways to make it happen. The best Children’s Day gift you can give your child is a secure future. Start now, for the best results.